Ensure that the parking brake lever is in the fully released position. Using ONLY HAND TOOLS, remove the adjusting nut (1) from the end of the front park brake cable threaded rod. Remove the rear seat cushion. 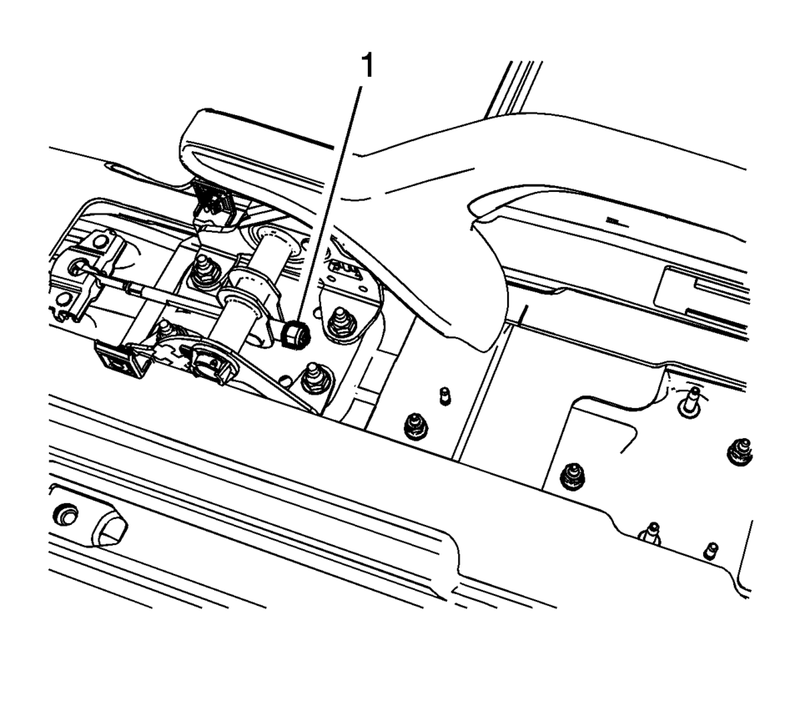 Refer to Rear Seat Cushion Removal and Installation. Position the rear floor carpet forward to access the parking brake cable pass through grommets. Release the parking brake cable pass through grommets (1). Release the parking brake cable routing clips (2). Release the parking brake cable collars (3) from the floor tunnel bracket. 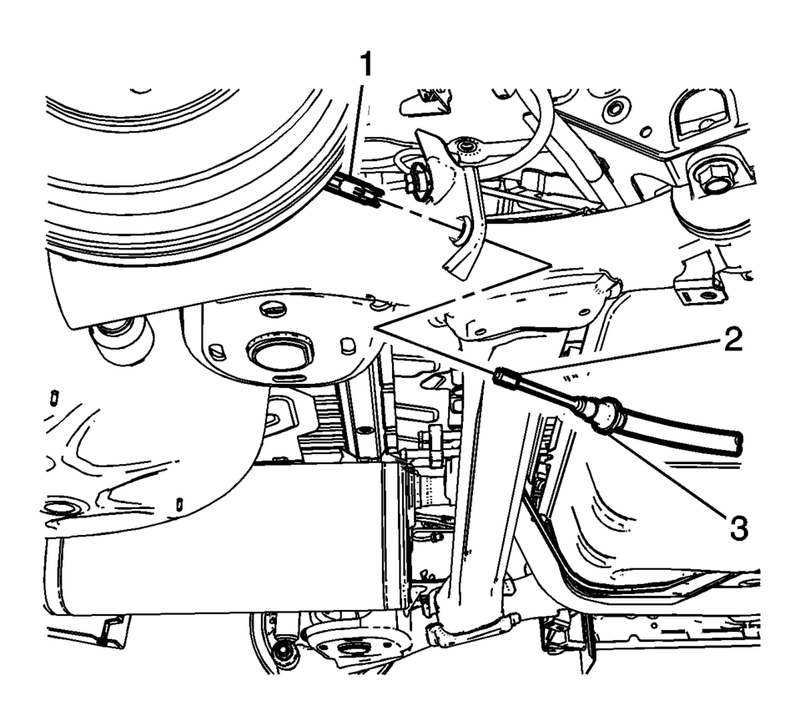 Disconnect the park brake lever cable from the equalizer (4). Remove the left parking brake cable bracket bolt (1). Release the left parking brake cable retainer (3) from the rear axle bracket. Remove the right parking brake cable bracket bolt (1). 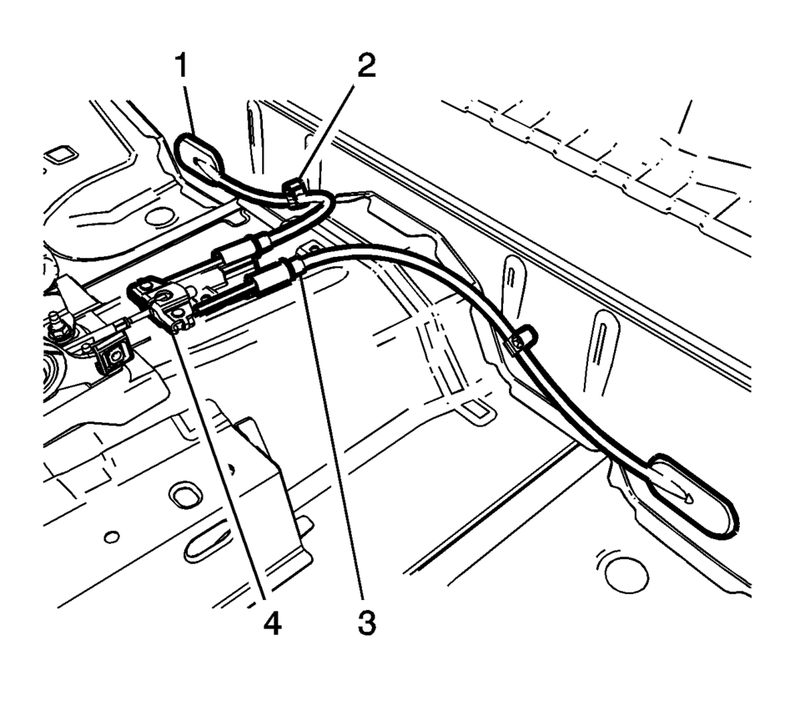 Feed the parking brake cable through the vehicle body. 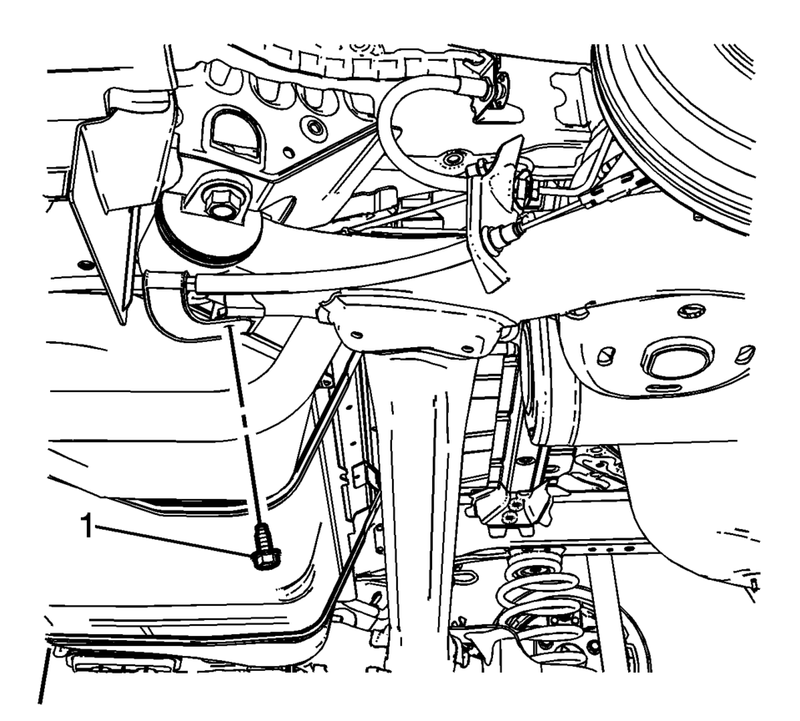 Lower the vehicle and remove the parking brake cable and equalizer assembly from inside the vehicle. Install the parking brake cable pass through grommets (1). Install the parking brake cable routing clips (2). Install the parking brake cable collars (3) to the floor tunnel bracket. Connect the park brake lever cable to the park brake cable equalizer (4). Reposition the rear floor carpet. Install the rear seat cushion. Refer to Rear Seat Cushion Removal and Installation. 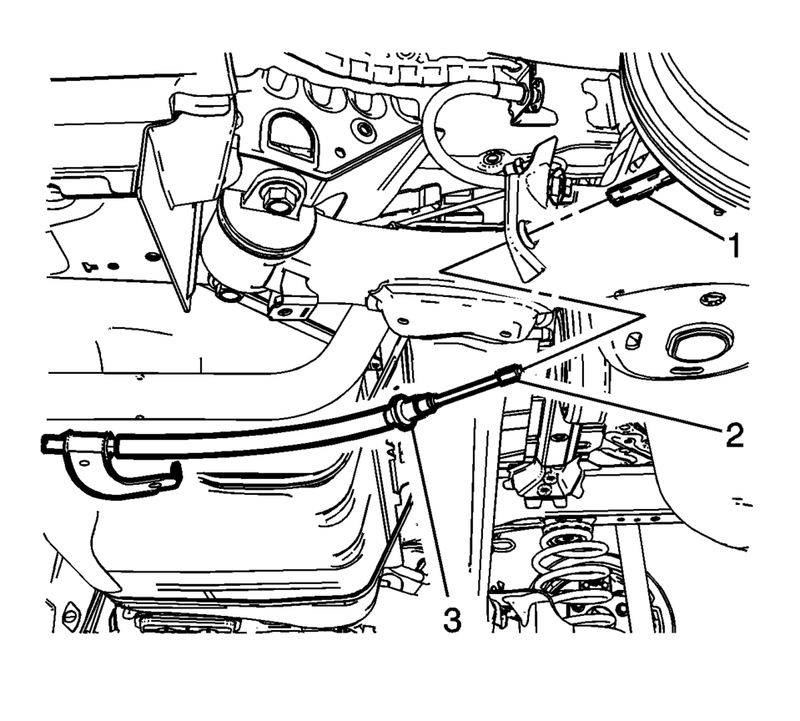 Install the right parking brake cable retainer (3) to the rear axle bracket. 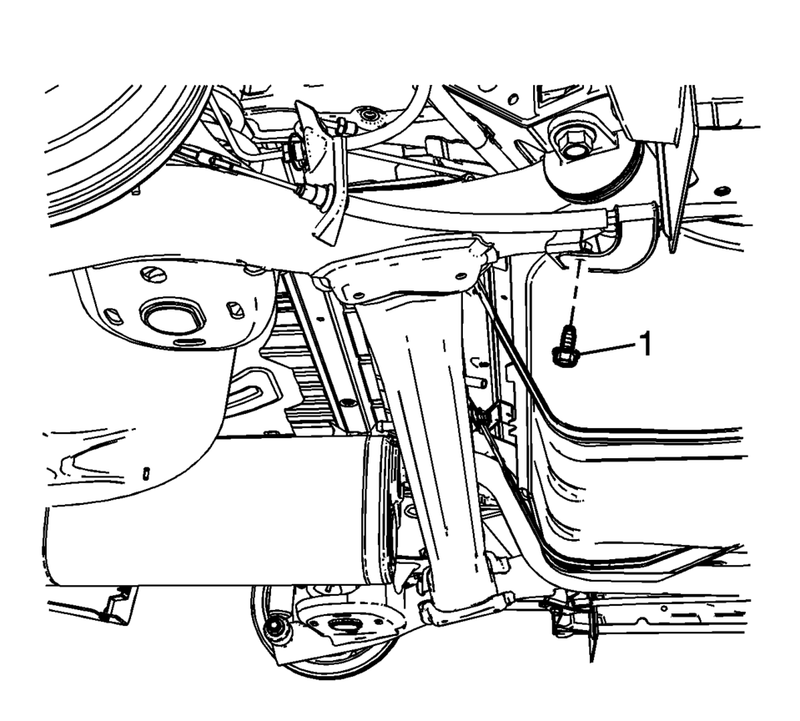 Install the left parking brake cable retainer (3) to the rear axle bracket. Using ONLY HAND TOOLS, loosely install the adjusting nut (1) to the front park brake cable threaded rod. Adjust the parking brake. Refer to Parking Brake Adjustment.